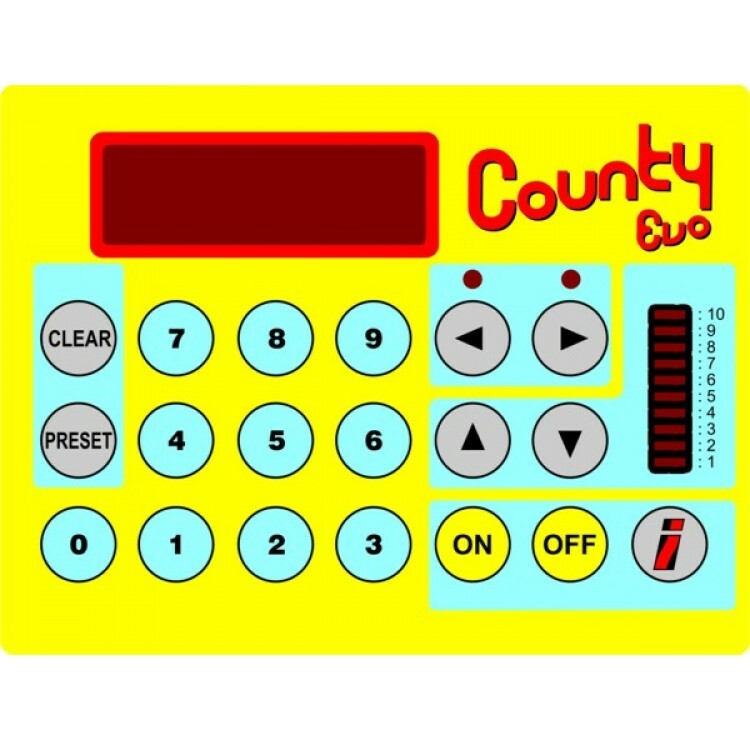 TECHNICAL FEATURES of Iteco COUNTY EVO is a microcomputer based instrument which counts axial, radial and SMD (with 8301.018 option) components. The plastic mobile guide is adjusted for axial counting. The plastic mobile guide is adjusted for radial counting. Before counting it is necessary to select the lead component number by setting the divider. For bandolier counting the 8301.023 support is available with an easily inserted 8301.025 handle. The Iteco COUNTY EVO adaptor for counting taped SMD components is an optional accessory (8301.018) for the County Component Counter. The maximum tape height is 56 mm and the number of hole per component is min 0.5 - max 19. Component counting is achieved by counting the punched holes on the SMD tapes. 8301.028 rotating SMD supports and 8301.030 SMD bandolier handle are optional items.